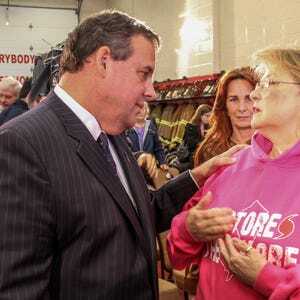 TOMS RIVER, N.J. — When Catherine Tango opened the letter from FEMA in October, she began to panic. 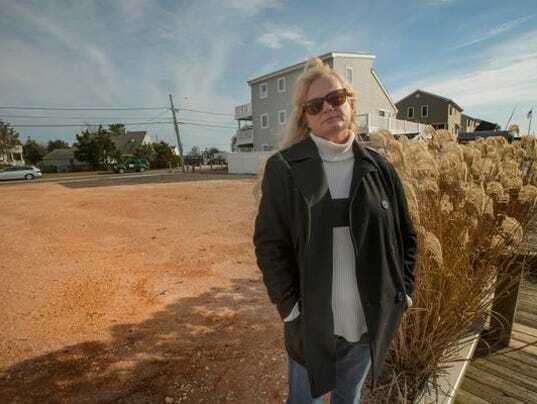 Homeless after Superstorm Sandy flooded the Ortley Beach condominium she was renting, Tango, 61, relied on assistance from the Federal Emergency Management Agency to pay her rent and living expenses at an apartment she rented in Howell. But the October letter demanded repayment of $15,500 — and threatened to garnish her monthly Social Security disability check if she didn’t pay it back. FEMA says 1,200 New Jerseyans have received what it refers to as a recoupment letter. The agency is seeking $8 million in repayment from people it now says shouldn’t have received that money in the first place. Such a letter was addressed to Jill Svelling Belloff’s Forked River rental home, not the lonely mailbox that fronts the empty dirt lot in Waretown where her Sandy-soaked home once was, and where a new house someday will stand. The demand letter arrived just a couple of weeks before her husband underwent open-heart surgery. A FEMA spokesman told the A sbury Park Press in a statement that the agency had provided $1.4 billion in assistance to nearly 183,000 Sandy survivors. FEMA routinely audits disaster assistance payments and, as of Oct. 31, just 2 percent — about 3,600 individuals or families — of those survivors had received recoupment letters, seeking payback for a combined $23 million that FEMA says never should have been paid out. After Hurricane Katrina, 14.5 percent of funds were “improperly disbursed,” according to FEMA, which sparked an overhaul of rules meant to protect against waste, fraud and abuse. w back millions from New Jersey towns that couldn’t prove they had used the money in a sanctioned way or that they had simply overpaid. Recipients of these letters have a few options, including paying the entire amount, setting up a payment plan, seeking a hardship reduction or disputing the debt through the appeals process. Simply ignoring the letters will result in a referral to the Department of Treasury for collection. Tango has filed an appeal and asked for a hearing with FEMA. She is perplexed by the demand to repay $15,500, since her records indicate she received $11,799 from the agency. A paralegal who has severe arthritis in her legs and herniated discs in her spine, Tango receives $1,154 monthly in disability payments from Social Security. She also works two days a week at the Ortley Beach A&P, earning an additional $85 per week. FEMA’s letter claims there is no proof that Tango actually lived in the Candlelight Condominiums on Route 35, even though she has a lease and rent receipts to prove it. 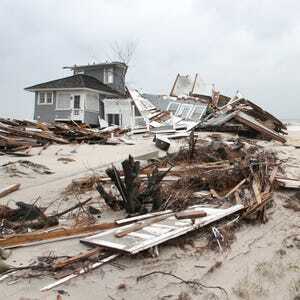 The condominium building, badly flooded by Sandy, was recently demolished. She fears that if her appeal is not successful, she will be homeless again.